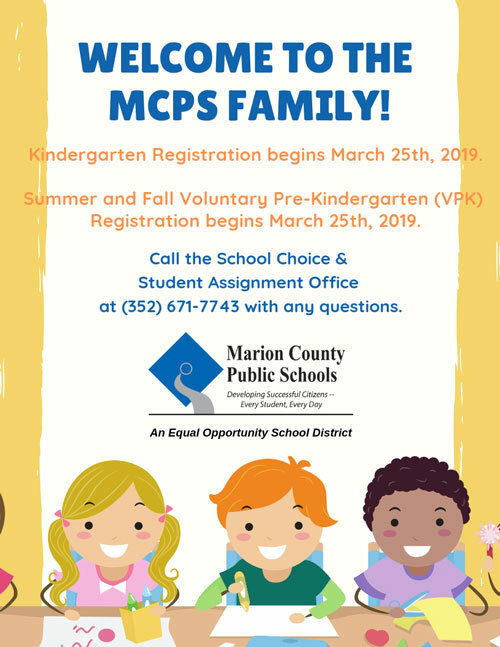 Marion County provides services for 0-3 year old and 3-5 year old students in a variety of ways. The 0-3 year old group receives support through ARC & Early Steps to provide either home based or full time services, for education, PT, OT, and Speech/Language. The 3-5 year old group receives support through Headstart, Itinerant Speech/Language, and full time classes. There are 17 Elementary Schools that offer PK ESE classes for the 3-5 year old students. The county has 34 classes providing services at this time. Evaluations are provided by a team of professionals in an arena assessment with parents. These assessments are done to determine if a student meets the criteria for one of the ESE eligibility areas. These evaluations are provided free through the school system. Evaluations are provided by a Speech/Language Pathologist if the child is delayed in the area of speech/language only. The testing is provided free through the school system.